Protection Accessories – Keep your vehicle protected both inside and out with a variety of different accessories, from all weather floor and cargo mats inside the cabin to door pocket handle protectors, hood deflectors, splash guards, and appliqueés that protect exterior paint. Utility Accessories – Get the most out of your Kia with a broad array of utility accessories, such as cargo hooks, cargo nets, a spare tire hardware kit, and bike and cargo roof racks. Electronics Accessories – Enjoy the convenience of modern accessories like a HomeLink® Remote & Compass, Garmin Portable GPS DriveSmart™ navigation system, and a remote start remote. 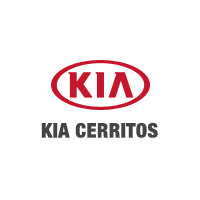 At Kia of Cerritos, we have an extensive selection of new and pre-owned Kias for sale near Southgate, including a number of new vehicle specials. Stop in and see us today at our dealership in Cerritos, or order parts and accessories online at any time! Got questions? Call us at (562) 860-2424.